Brisbane is a lovely city where all the residents try to maintain an eco-friendly environment through well-managed landscapes. 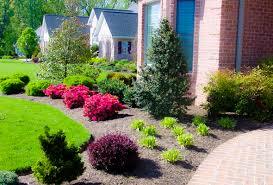 They do not mind spending their money to hire a company that offers landscape services for the best home landscape. Landscape performance is flawless with the help of a professional because homeowners may not know every detail which is needed to create stunning, yet environmentally friendly landscape structures. Due to increasing demand Brisbane has so many licensed contractors, which can provide reputable services to deal with landscape projects. This is why homeowners have to make sure that they hire a well-reputed one who has years of experiences. Experienced landscape contractors usually deal with many clients and have trustworthy reputation. However, homeowners have to ask several aspects that a landscape provider should provide. Most of all, a professional landscape company has to ensure that it can provide well-managed living and non-living materials for the best balance. Plants and rocks should be combined in such ways for perfect landscape structures. The contractor should know for sure where to place all kinds plants like trees or flowers in certain areas. There are hard features which should be available like fountains, rock bench or paving stones for foot stepping. When homeowners decide to have fountains, the contractor has to make sure that the water is not wasted uselessly. The water should play its important role in adding the beauty of the fountain as well as watering all plants. Another important thing that all homeowners should consider is the maintenance. Professional companies in Brisbane that offer landscape services always provide maintaining and repair services. Repair and maintenance require high-technology equipment and it is a must-have for all professional Brisbane landscapers. With so many options of landscape contractors in Brisbane, homeowners should take this as an advantage for making price comparisons.